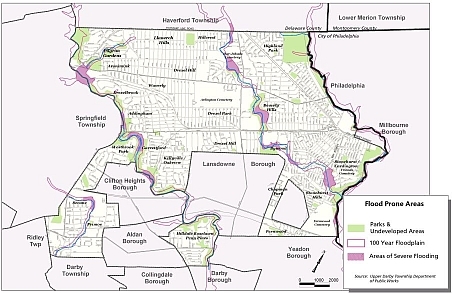 The Darby Creek Watershed Conservation Plan conducted throughout 2000-2002 defined a “ribbon of green” vision for the Darby Creek watershed that would restore stream corridors, provide riparian buffers, increase open space and recreational opportunities, educate residents and foster inter-municipal cooperation on a watershed basis. 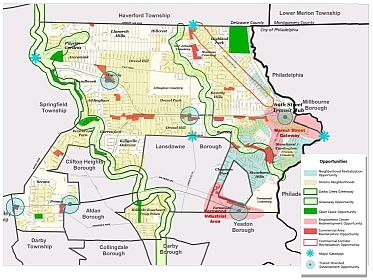 With this as a vision and goal, the Delaware County Planning Department decided to develop a Greenway Plan for the Darby and Cobbs Creek Watershed as a prototype for the rest of the county’s greenways. 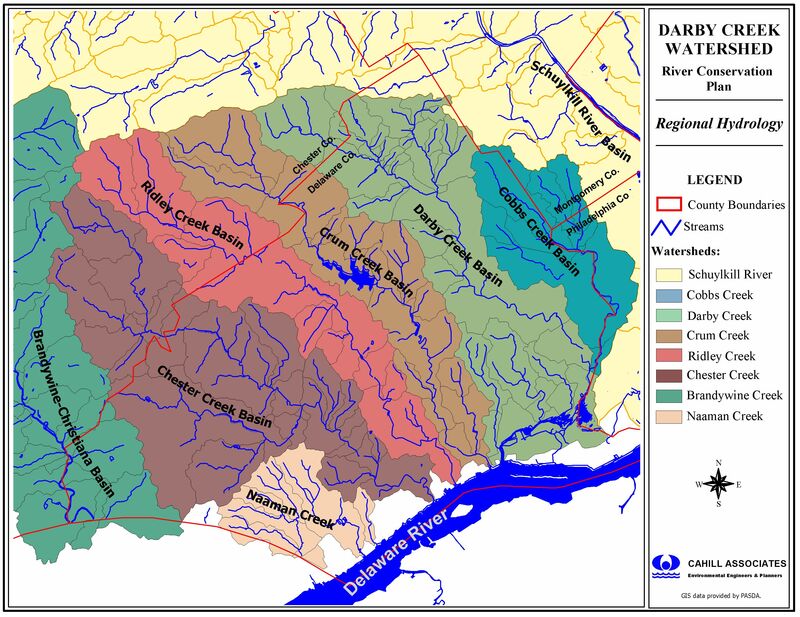 In 1998 Darby Creek Valley Association (DCVA) applied to the Pennsylvania Department of Conservation and Natural Resources and was awarded a grant to prepare this River Conservation Plan (RCP) for the Darby Creek Watershed, including Cobbs Creek. resources, identify potential threats to these resources, and recommend restoration, maintenance, or enhancement options in the form of a set of management strategies, all based on a vision of the watershed's future. A variety of resource inventories have been developed for this RCP; these resource inventories are critical when taken and understood individually, constituting important independent resource elements in the Watershed. However, their significance is even greater when these resources are linked and viewed together, forming a kind of ribbon of green. This ribbon of green is the core of the Darby Creek Greenway vision at the heart of this RCP. The ultimate vision of the Greenway would come to be full implementation of the Goal-Based Action Plan, as set forth in the RCP. 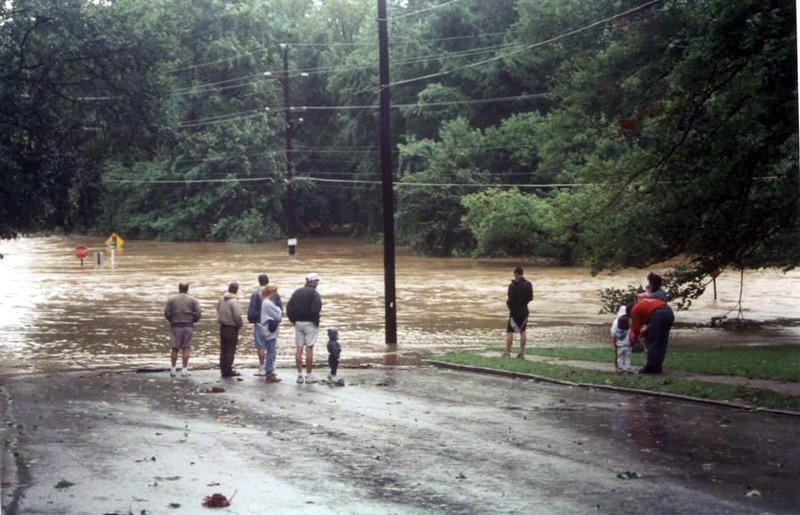 The potential user benefits of the Darby Creek Greenway Vision, given the large Watershed populations involved here, would be enormous, especially when understood in the context of the many community needs characterizing so many of the existing municipalities. The potential benefits could even reinforce economic revitalization efforts underway in the Watershed. Implementing the Darby Creek Greenway Vision concept borders on the utopian and in any case can be expected to be extremely challenging. Nevertheless, this unifying concept can serve as a guide for step-by-step implementation, as Municipality A puts in place a mile of streambank and riparian zone restoration, as Municipality B develops a walking/biking trail, as Municipality C mounts preservation efforts for valuable historical mills and other floodplain structures, as authorities begin to plan for streamside interceptor sewer reconstruction. Ultimately, the puzzle will begin to fill in and take shape. And the Vision will become real.